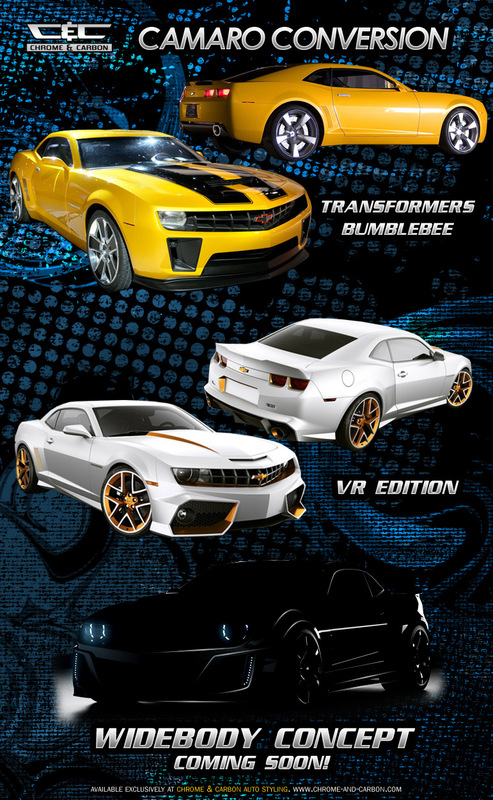 Transform your Chevrolet Camaro to the 'Bumblebee' Model from Hollywood's blockbuster movie "The Transformers" and to the Limited Edition 'VR Camaro' Model. 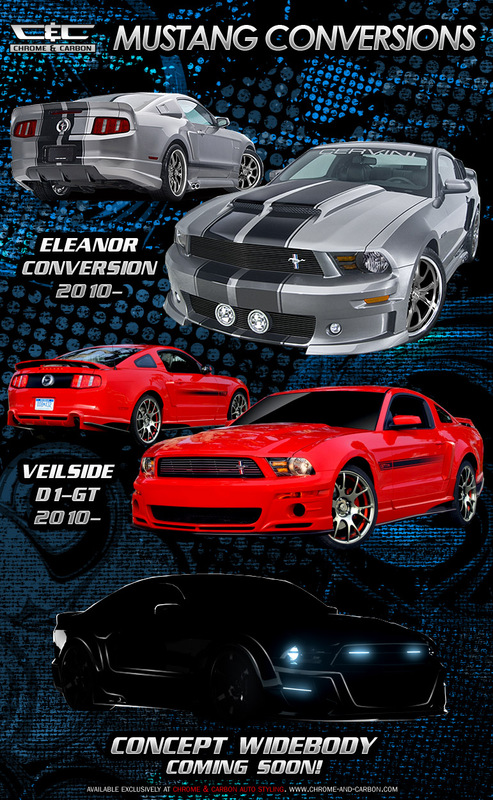 Convert your Ford Mustang to the Eleanor Model or VeilSide D1-GT Model. 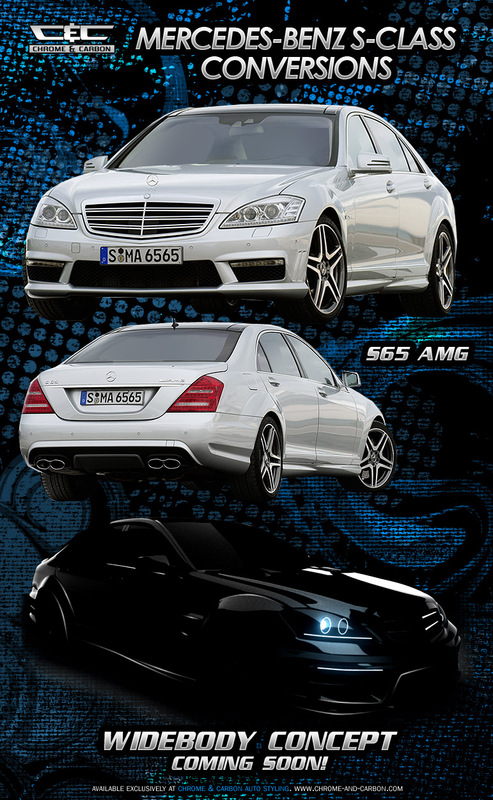 Convert your Toyota Supra to the VeilSide Fortune Limited Model, Top Secret Final Evolution Model or Top Secret GT300 Model. 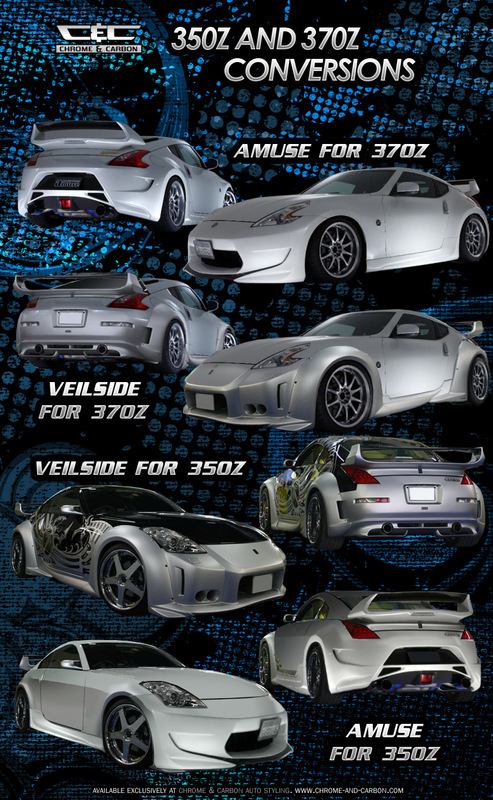 Convert your Nissan 350Z or 370Z to the AMUSE or VeilSide Models. 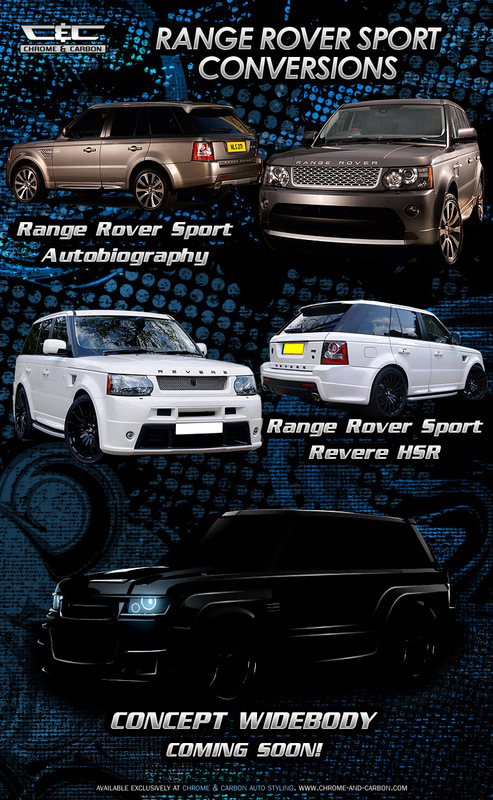 Facelift your '11 Range Rover SPORT to '11 Autobiography SPORT Model or REVERE HSR Model. 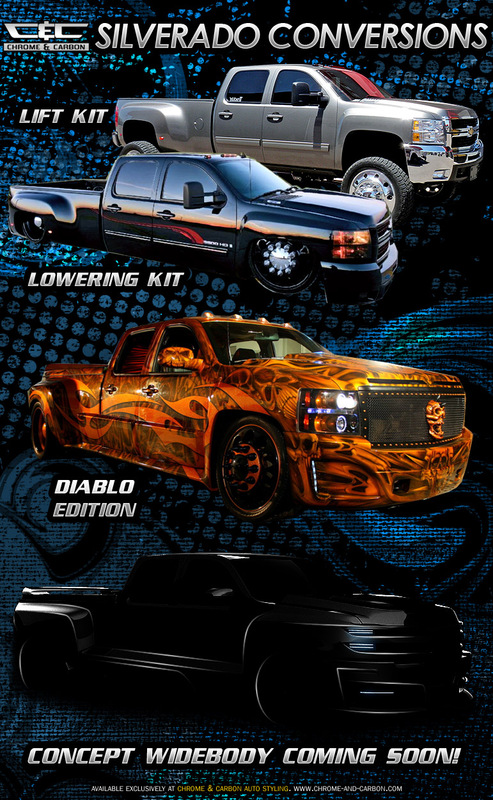 Lift or Lower your Chevrolet Silverado with our exclusive heavy-duty lift & lowering kits or transform your Silverado to the ultimate DIABLO Edition.